Meditations are guided journeys that take you into a place where you can open to your inner wisdoms and healing potentials. These are the bridges that allow you to walk into new and deeper relationship with your healing body, mind, and Spirit. With regular use, you can more easily access a state of calm and command your power and your boundaries.. The following two downloadable CD’s have been the product of close to 8 years of in-clinic work studying the effects of certain words, images, tones, and pauses on the energy system and body. The music was intentionally composed for these meditations and refined by watching and feeling the energy system change until the music was in resonance with the words. These were also professionally recorded and mastered in Durham, North Carolina. Track 1 – Inspiration – a 5 minute Centering meditation that brings you into silence and helps you to really feel into healing potential of a moment. It is a practice to help you re-center using the breath. Track 2 – Illumination – a 10 minute Grounding meditation that supports your partnering with the Earth and Cosmos to “refill” your energy. This can be really useful for stress relief, exhaustion, and feeling scattered or anxious. Track 3 – Emanation – a 12 minute Hara meditation. This is a very clinical meditation that helps your system come back into partnership with your purpose, original essence, heart’s desires, and a strong remembering of physical vitality. This system feeds the chakra and meridian systems with the energy that is connected with your birth intention. It is wonderful for everyday use and can help you to deeply come “home” to yourself. Tracks 4/5 – a 10 and 5 minute music mediation with no talking. This music was composed to assist you in your personal journey work. Affirmations help the energy system to re-pattern by offering new energy through imagery, language, and vibration. Use these affirmations one at a time to support you as when you are working with a specific area of your life. 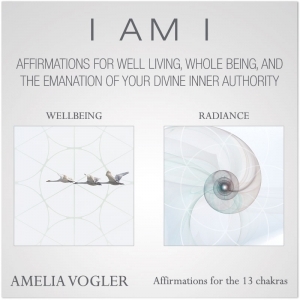 If you listen to these affirmations regularaly, you will notice that your energy system and personal perspective around these dimensions begin to normalize and trend towards a more available and empowered state. There are a lot of forces in this world that calls us to action and sometimes we take-action through engaging our political voices; taking stands for rightness; offering financial assistance; and mobilizing grass roots and local efforts. In addition to these, our prayers and focused energies have been scientifically proven to support both the Earth and her beings (animal, plant) and her ecosystems and geographies and also the perceived well being in our fellow people. I wrote and recorded these for a Worldwide community of Healers who meet at specific times around the globe to listen and follow along when there are people or places in crisis. Join us or use these anytime you want to participate in the healing of this planet and for the people. This meditation guides to you meet the emissaries of healing that exist in our beautiful Gaia, Mother Earth. As you call these elemental energies into your own energy system, you reconnect yourself with aspects of your unique connection to this planet – which reverberates into your life, your work, your health, and your whimsical Spirit.